Lighting is the window to the soul of your room, by changing the light you change the mood! We've always had a passion for the the kind of light that tells everyone entering the room what's on your mind. The kind of light that says you're home, your safe, all is well. The kind of light that invites you in, calms your spirit, and speaks to your heart. Whether you have romance on your mind, want to un-wind and watch a little TV or just snuggle up with a good book for the evening the lamps you turn on set the stage. 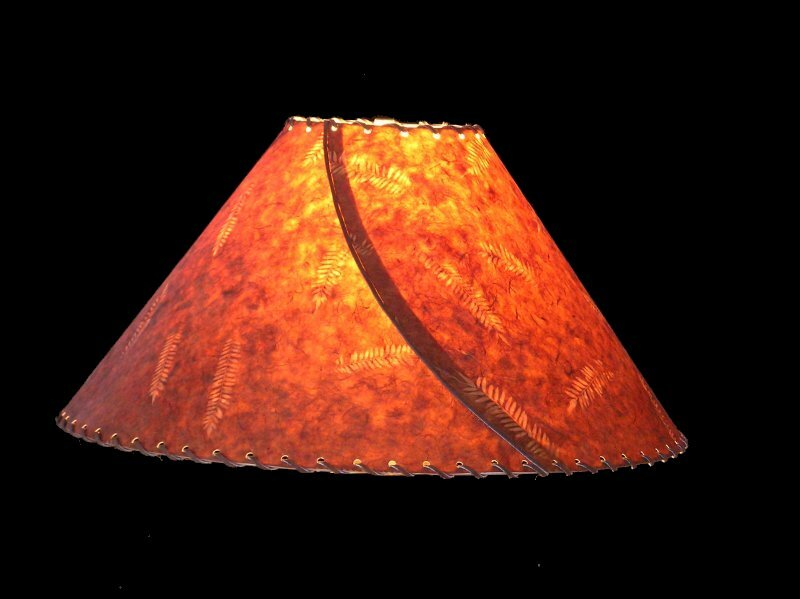 Years ago I fell in love with Victorian Lighting, the lamp shades were so detailed, so romantic, so soft and the light was absolutely intoxicating. 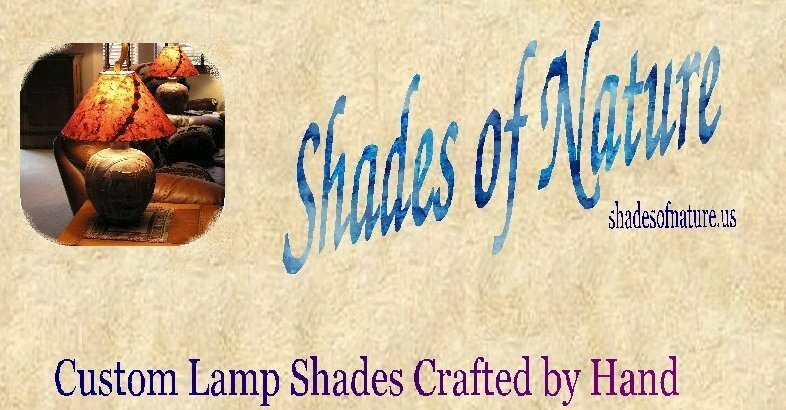 I took some classes and learned how to make these most beautiful shades. As time went on my appetite grew and I began to hunger for other types of light in our cabin. 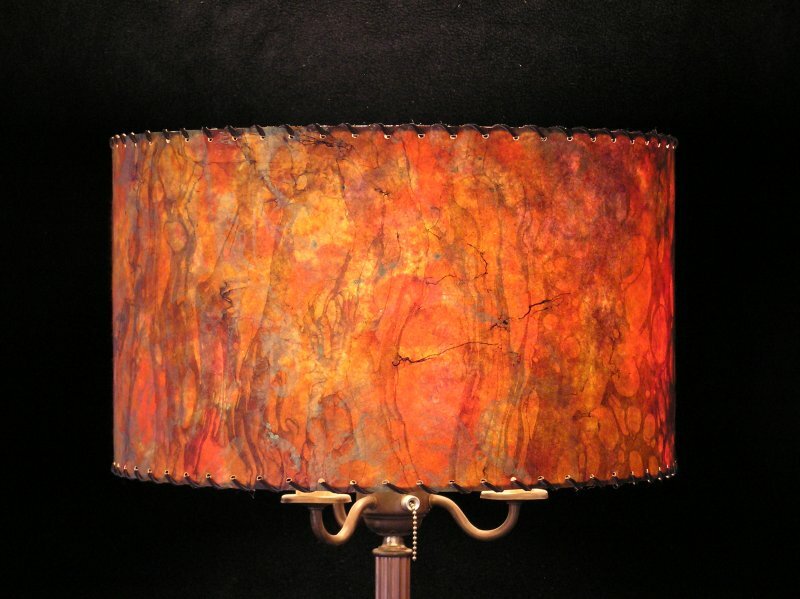 Through a series of events I discovered rustic lighting, the warm glow given off by the lamp shades and the natural beauty and character of the wood in the lamps. I found myself in love again. This time I taught myself how to make these shades. It was a process of trial and error and I made my fair share of mistakes. Who'd have thought that such simple designed shades could have so many pitfalls. But, little by little I figured things out and started by making the Wildlife Collection which were very well received. Then I found papers that were hand made by families in small villages and jungles in 3rd world countries. Each piece of paper is a work of art in it's own right. 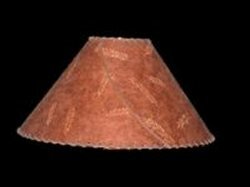 These papers formed the Fireside Collection and can be adorned with antler or wood buttons, real pine cones gathered from our ranch, beads, or just a simple leather strip across the front seam. 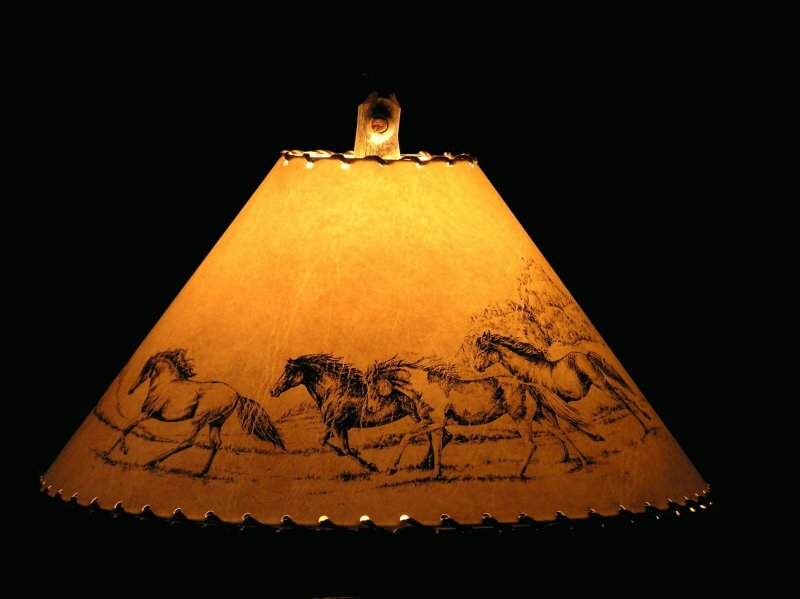 They started off as rustic lamp shades but have found their way into every type of home and room you can imagine. 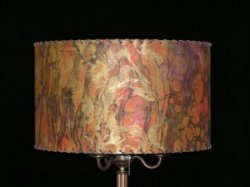 The warmth, colors, textures and inviting glow of these shades seem to have an all around appeal. 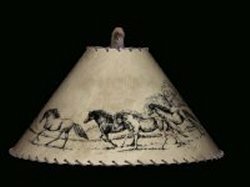 "The Journey of Our Lamp Shade Lines"